This year I've been obsessed with the wild flowers. Their nature seems playful & friendly, yet elegant. I really wanted to explore how to create these florals, trying to grasp their aura. Florals always captivate me like nothing else, with their delicate petals. This was something I was desperate to capture in my paintings. 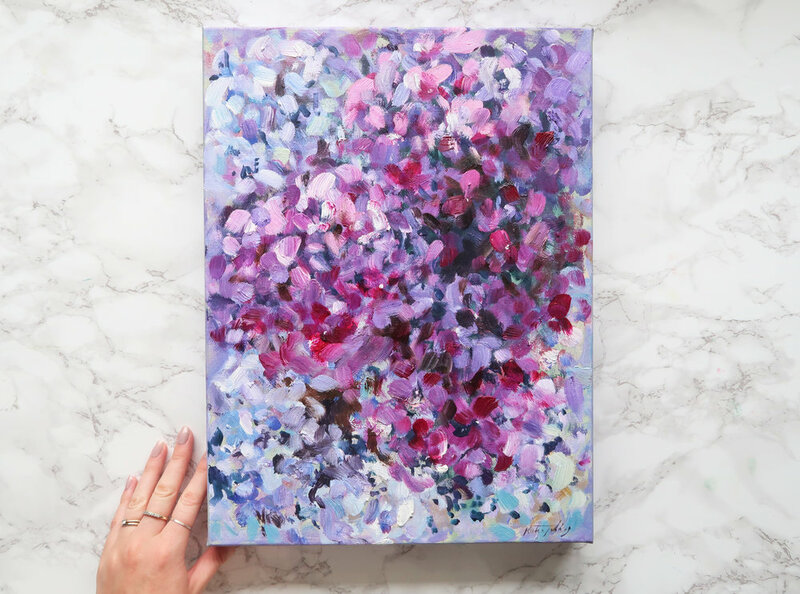 If you want to bring the wildflowers indoors, and you could imagine one of these paintings on your wall, then fear not...these paintings are now available. For more photos and info you can click on your favourite painting. I have mostly used oil to create these paintings, which gives such a luscious vibrancy. They also come ready to hang & shipped in safe, and pretty packaging. They would also make the perfect gift to someone you care about. I'm happy to announce that these paintings are now available, along with many more. I'm sure my love for these florals will continue as I go back to the studio and keep working. I give regular updates on my Instagram & Facebook, if you want to see what I'm up to.